The cause of the pain experienced in the mines revealed by the Court of Accounts report. It is difficult to be working in Turkey. Especially harder to be a mine worker. Unfortunately, neglect and blind eye people, benefit from unemployment in our country, even in the illegal mines, even people are killed to death. The Court of Auditors, 2017 audit report prepared by Turkey Hard Coal Authority for organizing the illegal mines is said to be a structure. In the report, which was determined that the private enterprises purchased the coal produced in these quarries for low wages, it was emphasized that the smuggled quarries were tolerated. In the 2017 audit report prepared for the TCC, it is stated that human life is neglected for low cost. According to the report, 840 illegal mines were discovered in 3 years and 129 workers died in illegal mines between 1992-2017. In the report which stated that the illegal mines emerged in order to eliminate the daily coal needs in the 1980s. Then, the account has become an organized structure which has been turned into an uncontrolled commercial activity and rents have been provided by means of return. The Court's Grand National Assembly Commission to present the 2017 Turkey Hard Coal Enterprises (TTK) in the audit report, the agenda in recent days Zonguldak and last year methane gas intoxication on November 21, was given to identify important when dealing with the illegal mine 3 people died. In the report, it was noted that the number of illegal mines detected in 2015, the number of illegal mines in 1976, the number of illegal mines in 2016 to 350, and the number of illegal mines increased, and that the quarries were detected and sealed and did not solve the problem. In the report, the re-opening of the mines after the leakage of the sample as an example on November 21, 2015, 1 person died after the fugitive that it opened again immediately after 2.5 months, 2 workers were shown to be killed by gas poisoning. To reduce the cost of human life is ignored. 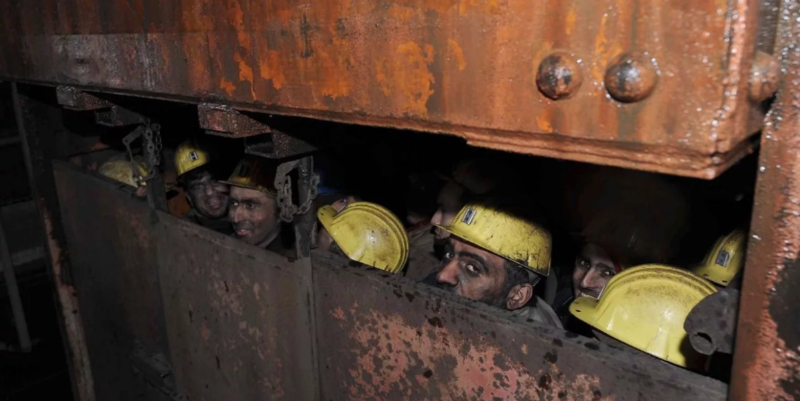 Private enterprises in the mines produced in the coal produced at low wages, said the report. In the report, where the illegal mines, which have emerged as the daily coal demand, are transformed into the important commercial structure, following the delivery of the coal produced as a result of the low cost of this way of production to the consumer, the work has ceased to be an individual, The rant through has become an organized structure. Without a notice, the number of fires that were identified by the police forces, the forest management and the institution members is incidental and the number of the quarries remains very small. In the suggestion section of the report, it was pointed out that the necessary measures should be taken in order to eliminate the illegal mines and prevent them from entering the market. In addition, the use of the provisions of the use of, the prohibition and criminal proceedings should be done about the users were expressed.